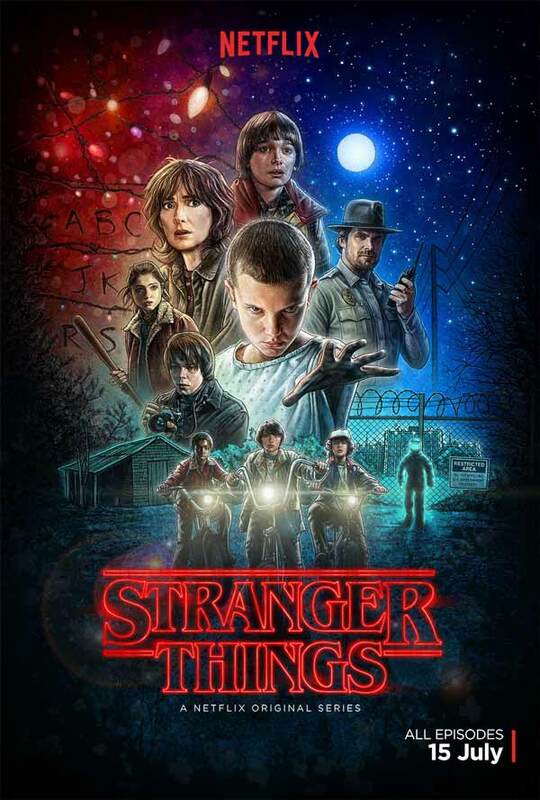 We’ve already told you how excited we are about Stranger Things – the new Winona Ryder-starring Netflix series which follows the search for Will Beyers; a young boy who vanishes into thin air under highly suspicious circumstances. Where Trailer #1 gave us a tantalising teaser of the many mysteries yet to unfold, this new footage reveals more of what we have to look forward to of the show, which weaves a tangled web of top-secret government experiments, terrifying supernatural forces, and one very strange little girl. Pairing ’80s cult visuals with a stirring soundtrack, the new trailer shows us more of Stranger Things‘ cast in action, including Winona Ryder (Joyce Beyers), Matthew Modine (Dr. Brenner), David Harbour (Chief Hopper), Charlie Heaton (Jonathan Beyers), Natalia Dyer (Nancy Wheeler), Millie Brown (Eleven), Finn Wolfhard (Mike Wheeler), Caleb McLaughlin (Lucas Sinclair), Gaten Matarazzo (Dustin Henderson), and Cara Buono (Karen Wheeler). Stranger Things makes its global debut on Netflix this July 15th.